In a way, choosing a career is like choosing your favorite pair of jeans — the right fit is everything. Take your leadership skills to the next level by gaining hands-on business experience, from setting sales goals, to coaching a team, to merchandising the store. Your path to management starts with our one-year Management Trainee Program. 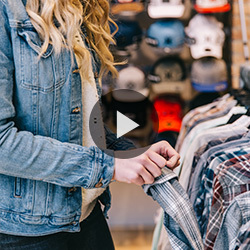 Learn from the best and develop the skills needed to manage your own store. Determine your own success in a part-time or full-time sales position, with flexible hours, competitive pay and growth opportunities. Behind the scenes more your style? 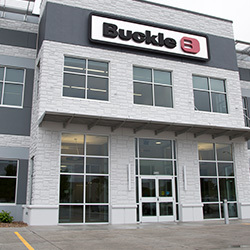 Then one of our Store Operations, Freight Coordinator, Visual Merchandiser or Tailoring positions may be just for you! Put your skills and passions into focus in one of our many corporate positions, from Buying to Marketing, to IT and so much more. See what positions are available today! Details on benefits available during the interview process. 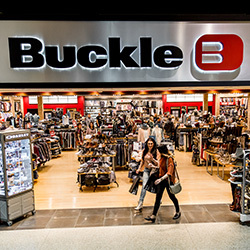 BUCKLE BELIEVES IN GIVING BACK THROUGH OUR PEOPLE, OUR PRODUCT, AND OUR PURPOSE.